With the Energy Union envisioned as having `the citizens at its core’ where they can `take ownership of the energy transition, benefit from new technologies to reduce their bills, participate actively in the market and where vulnerable consumers are protected’, Europe moves beyond the traditional energy system. The new policy and regulatory initiatives acknowledge the fundamental role consumers play in reaching the full potential of the European energy market and how, by offering possibilities, they can beneficially participate in the energy transition process. The term `prosumer` is relatively new in the energy field and it broadly refers to energy consumers who both produce and consume electricity. The energy produced is used for their energy needs, with the excess being sold to the grid and in the event of low production, the energy needed can also be bought from the grid. This is what makes them both producers and consumers. 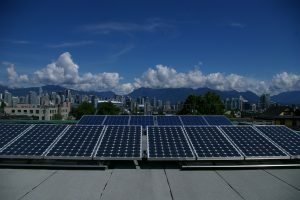 The notion may refer to residential prosumers, meaning citizens producing electricity on their property, mainly by installing solar photovoltaic panels on the rooftops; commercial prosumers like SMEs, department stores, office buildings and other business entities that self-consume the energy they produce; or public prosumers – public institutions that self-generate electricity. At the European level, through the Clean Energy for all Europeans package, the Commission envisioned European Union as a leader in clean energy transition. The proposals cover the fields of energy efficiency, renewable energy, the design of the electricity market, security of electricity supply and governance rules for the Energy Union. In addition, the package also contains several measures which have the consumer in the foreground, aimed at providing a better choice of supply, access to reliable energy price comparison tools and the possibility to produce and sell their own electricity. When speaking about prosumers, there is no harmonised legal framework regulating this field as many countries across Europe have taken very different approaches. Even the term of prosumer doesn’t have yet a precise definition, although many member states adopted equivalent concepts focusing either on the production or consumption element of being a prosumer. Furthermore, the financial aspects of the prosumer situation differ from country to country. There is no harmonised financial framework to support the process of becoming a prosumer, each national government setting up their own financial incentives schemes. Romanian legislation has not established any regulatory framework regarding the concept of prosumer. However, the term of prosumers is mentioned in the working documents for the National Energy Strategy 2016-2030 – with an outlook to 2050 (Strategy) and is defined as final consumers of energy who produce electricity at the place of consumption by using small power generation units. According to the Strategy, the prosumers are perceived as active consumers of electric energy from the grid, who have the capacity to deliver to the network their own electric power, the flow being two-way. There has been an attempt to regulate the situation of prosumers earlier in 2017. 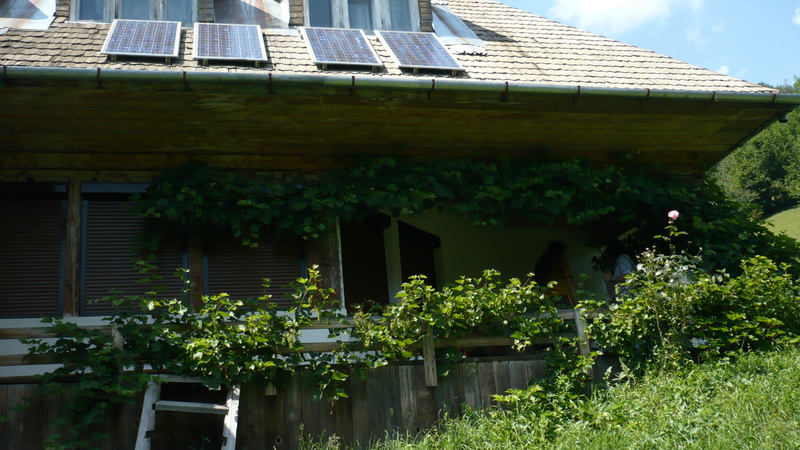 The last amendment to the Law governing the renewable energy sources in Romania tried to provide clarity to the subject stating that natural persons holding units of electricity production from renewable sources with installed capacity below 100 kW per place of consumption may sell the electricity produced and delivered to the grid in view of covering the own technological use of the grid at a price set forth by the National Regulatory Authority in the field of Energy. In addition, the issuance of a legal framework by the Ministry of Finance was expected, because the Romanian fiscal code does not include a model for taxation of the small energy producers and the authorities are unsure of what will be the tax regime for individuals who produce energy and deliver it to the grid. It is a coherent and natural step the Romanian Government should have taken, given the fact that at European level things run more smoothly, but it all ended in uncertainty. Like most of the legislative instruments regulating the field of energy, this one too has the same dose of unpredictability and many bottlenecks that hinder its evolution. For now, those who want to follow the prosumer path in Romania need to comply to a way too bureaucratic authorisation mechanism, which is money and time consuming. You have to wait more than a year for all the required permits and authorisations, having to deal with also more than 10 institutions for this purpose. But the bureaucratic procedures are not the only problem. The biggest obstacles in becoming a prosumer are the old infrastructure, the lack of smart grids that allows prosumers to send their electricity back to the network, and of course the lack of legislation. Even the Romanian Minister of Energy, Anton Anton, said that the situation regarding the prosumer regulation is `really ridiculous`. It is not the Minister’s astute observation we need, what we really need is that the responsible institutions really work together once and for all for these setbacks to be resolved. The Chairman of the Commission for Industries, Iulian Iancu, in whose hands lays the entire legislation for the energy and gas sectors, dared to promise that in short time we will witness a real legislative revolution regarding also the use and production of energy from renewable sources. It’s been years of controversy about the law amendments that have been issued and no one is pleased with the changes made so far. Up to this point, we only have `great observers` who point out the dysfunctionalities in the energy field but seem to forget to draw attention also to the importance of collective effort and synergies between institutions and stakeholders. Steps are being made backwards on this energy transition path and this should stop. For this to happen various measure could be taken, such as: removing restrictive administrative procedures and legislation that inhibits investments, organizing information campaigns so that citizens are aware of how they can contribute to a more sustainable power system while gaining increased control over their energy needs, and most importantly, spurring innovation and competitiveness in the energy field. 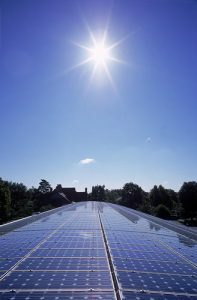 At EU level, the Commission is trying to set up a framework for prosumers to take a more active role within the national and local energy systems. The steps taken by the Clean Energy for All European package go in the right direction as they try to remove the regulatory obstacles encountered by the citizens, but this objective can also be achieved through other initiatives. Simple things, such as a clear support for local actors and energy communities within the cohesion policy, accompanied by a budget that lets people participate in his formulation could go a long way in empowering the citizens and making the energy systems more efficient, cleaner, and democratic.